Stop in Today for Lumber Supplies! For over a quarter century, Buffalo residents have been coming to one place for all their various hardware needs. Smart shoppers know that Gui's Lumber & Home Center has got them covered when it comes to quality building supplies. Swing by one of our six locations, and talk to our friendly sales staff about receiving the lowest rates on all lumber supplies and roofing supplies today! Gui's Lumber & Home Center is a full service lumberyard and Ace Hardware store that takes pride in providing patrons with top-notch customer service. We can offer all our customers with a combination of quick delivery, low prices and knowledgeable service that you simply can't get at other area hardware stores. No matter what specific construction job you may currently be considering, we're confident that we retain the inventory to make your vision a reality! When it comes to building supplies, you should settle for nothing but the best. Long lasting structures require high quality materials for longevity. We take pride in offering the best selection of quality building materials including roofing supplies and drywall supplies. We have a great selection of building supplies at affordable prices. 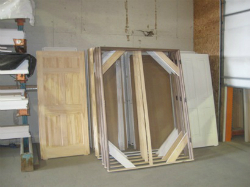 Gui's Lumber ensures quality building materials for contractors and do-it yourselfers. We strive to provide our customers with great customer service. You can also expect great advice from our knowledgeable sales staff. Our team can help you find the right materials for your job. Our experienced team undergoes training on the various building supplies we have available. We are committed to helping our customers make their projects a success. Our vast selection of building materials makes it easy to get everything you need for your project, all in one place. We provide quality roofing supplies for less! Gui's Lumber is your neighborhood hardware store. We sell building supplies, lumber supplies and roofing supplies. Are you looking for drywall supplies? 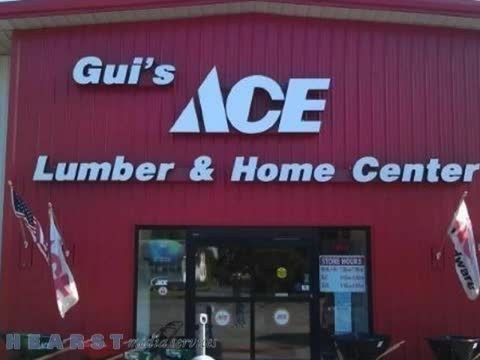 Gui's Lumber offers a wide selection of Ace Hardware that is second to none. At Gui's Lumber you can bring home the best supplies at cheaper prices. Considering the high demand for our services throughout the local Buffalo community, we've been able to expand all throughout the area. In an effort to maximize convenience, we now boast locations in Niagara Falls, Clarence, North Collins, Springville and even Batavia. Though we currently operate six separate facilities, you can trust that our dedication to customer satisfaction and premier service hasn't taken a dip. We continue to provide all shoppers with the drywall supplies and roofing supplies they've come to expect from us. Customer loyalty has allowed for us to cultivate a tradition of excellence! Come browse through our extensive selection of building supplies and drywall supplies today! You better believe that Gui's Lumber will continue to supply only the highest quality building supplies at the lowest prices. Our sparkling reputation throughout the community has continued to grow thanks to the continued support of our loyal customer base. Therefore, we feel it's imperative that we continue to make improvements to our operation, and stay on the cutting edge of innovative building materials and lumber supplies. Stop into one of our locations today, or contact one of our representatives at (716) 703-8112, and we'd love to chat about the extensive list of roofing supplies and other materials that are included within our inventory. We can also provide you with specialty services that you just won't get at competing hardware stores. Ask about the custom millwork, specialty molding, and customized roof trusses, floor systems and windows we can bring to your next big construction project! 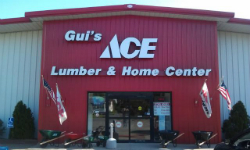 At Gui's Lumber & Ace Hardware Center, we pride ourselves on the impeccable service we provide to all of Western NY. When it comes to home improvement and home remodeling services, we simply can't be beat! Drop us a line today at (716) 703-8112, or simply visit us at one of our six Erie county and Niagara county locations. Our welcoming team of professionals would just love to hear from you! Gui's Lumber is an ACE Hardware store serving Buffalo. 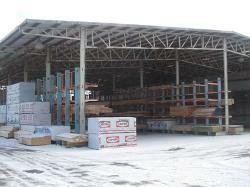 We have an extensive selection of building supplies and lumber supplies. We have top quality building supplies at affordable prices. Our team is experienced and knowledgeable to help get you the right materials for the job. We also specialize in drywall boom, and rooftop delivery services. Anderson, Ace Hardware, Ace Paint, Custom Millwork, Prehung Doors, Custom Stairs, Therma Tru, Power Tools, De Walt, Porter Cable, Makita, Milwaukee, Custom Molding.